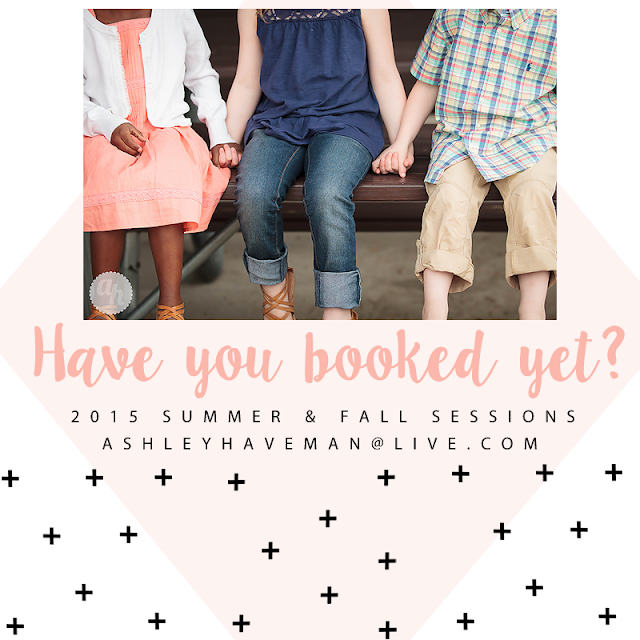 It's that time again...the busy summer/fall session is upon us and I am booking up a storm. I have chosen to limit my sessions this year. I find by doing this, I can give my repeat clients and the select few I add on, the proper attention. It is still a top priority for this photographer to give my clients their images within ONE week! I have always thought this was an important aspect of photography. I've been on the other side and waiting over a month just isn't fun! Includes up to one hour of shooting within 10 miles of Bismarck, at one location, and with up to five subjects. Images will be posted in online gallery within one week. Includes up to one and a half hours of shooting within 10 miles of Bismarck, multiple locations and subjects as time permits. Images will be posted in online gallery within one week and a custom photo book will be sent to clients within 3 weeks. I do offer newborn to first year packages. If you are interested, please contact me. At this time, I am not booking weddings but may have some availability later in the year so please contact me if you are interested. Here's to a wonderful new season! !